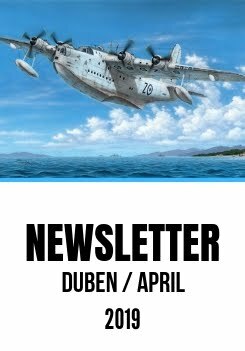 Sprues of upcoming Dornier Do 27 were published before this year's fair in Nuremberg - you can see them here. You could also see them on the competition Příborské poháry 2016, but photographer R. Kresta didn't take any photos of them, what obviously disappointed many modelers. Instead, you can see here two test models from test sprues. You can also see some differences between models on pictures, for example - propellers, engine cowlings or other areas of tailplane. Dorniers Do 27 were produced with various differences for individual customers. As you can see on the photo - it's possible to build it with all doors open.